Aimed at modest landscapers and stump grinding contractors, as well as rental stores, the Morbark G 42 SP Stump Grinder is an ideal unit for grinding smaller stumps. Its compact size and mobility allows it to be driven to sites that couldn’t be reached with larger stump grinders. 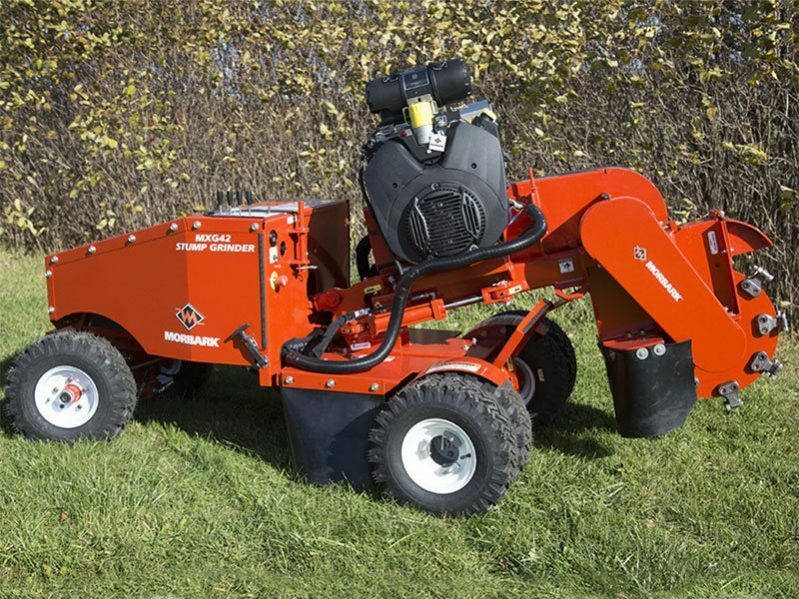 Equipped with 35 horsepower, this stump grinder really packs a punch. With a choice of three cutting system options, you can customize your grinder to best fit your needs. No other manufacturer offers this wide a variety of cutting system choices. Standard equipment on the Morbark G 42 SP Stump Grinder includes 4-up comfort grip fingertip controls, an electric clutch with cutting system brake and high-gloss Morthane paint. Width Without Dual Wheels: 35 in.